The grass at Wimbledon suits his style and he finds his touch again. LONDON – On the first Wednesday at Wimbledon in 2013, Sergiy Stakhovsky shocked seven-time champion Roger Federer in the second round, then did “like, 355 press conferences” and proceeded to lose his next four Grand Slam matches. 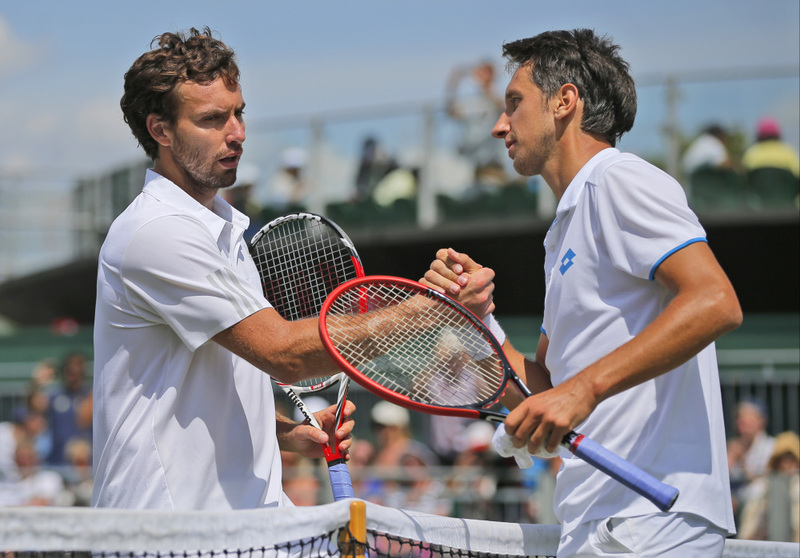 On the first Wednesday at Wimbledon in 2014, the 90th-ranked Stakhovsky pulled off another surprise, using the same serve-and-volley style that worked against Federer to beat 12th-seeded Ernests Gulbis 6-4, 6-3, 7-6 (5) and get to the third round at the All England Club. Stakhovsky was recently re-elected to his spot on the ATP Player Council, and he was asked whether he still thinks male tennis players should be paid more than their female counterparts. All four Grand Slam tournaments award equal prize money to the genders. “Just spent so much energy on different interviews and articles and everything that I was empty when I went on the court,” he added. That was followed by first-round losses for Stakhovsky at last year’s U.S. Open, and this year’s Australian Open and French Open, where Gulbis reached the semifinals. But back at Wimbledon, where the grass suits his attacking style, Stakhovsky found his touch again, and he won the point on 32 of 45 trips to the net against Gulbis. He is now 2-22 for his career in matches against top-10 players, with the only two victories at the All England Club, against Federer and Gulbis. Stakhovsky, meanwhile, now faces 42nd-ranked Jeremy Chardy of France with a chance to reach the fourth round at a major for the first time.